Castlecoote in Co Roscommon (aka Ireland's Best Kept Village). 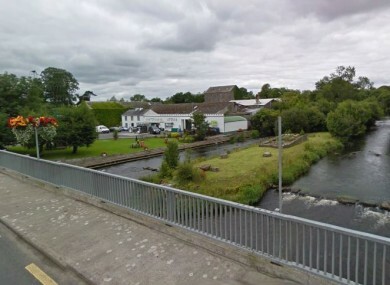 THE RESULTS OF the Ireland’s Best Kept Town competition were announced earlier this afternoon and the overall winner was… Castlecoote in Co Roscommon. Castlecoote also won the Best Kept Village category with Straffan in Co Kildare nabbing the Best Small Town award and Cookstown in Tyrone winning in the Best Kept Large Town category. Enniskillen, County Fermanagh won the Best Kept Large Urban Centre category. Congratulating all of the winners today, Minister for the Environment, Community and Local Government commended volunteers for their “hard work” and pride in maintaining their communities. “The judges have the unenviable task of comparing the most attractive towns and villages across Ireland, but they always find there is a good humoured spirit of competition among the finalists,” said Doreen Muskett, Chairman of the Northern Ireland Amenity Council. All 13 entrants in the competition this year were marked against strict adjudication criteria that included cleanliness, the outward appearance of buildings, the presentation of roads and public facilities and the natural environment. Email “Guess where Ireland's best kept village is...”. Feedback on “Guess where Ireland's best kept village is...”.